Welcome back to Selfie Loathing. 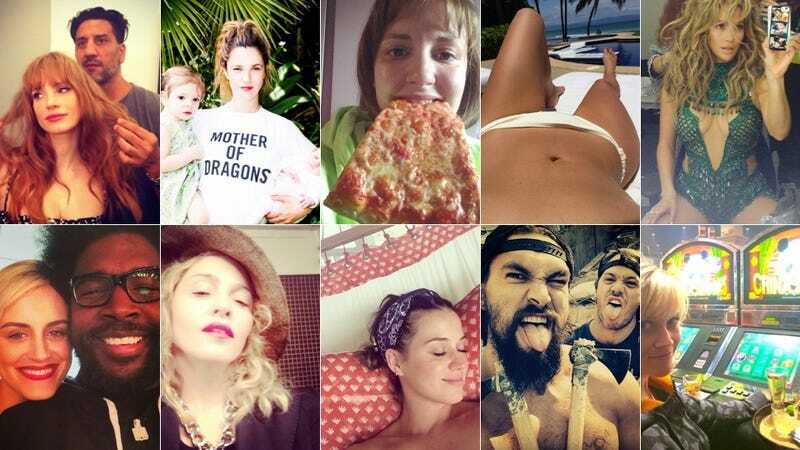 All of your celebrity Instagrams are belong to us. Every Friday, we present them without comment. Enjoy. @ethanmoretz best game ever#doubleovertime#lakings !!! Thank you all for the Birthday Love. It was a blast! Octavia's last day on Insurgent! Thanks to @clarisshair & @kateydenno, and@soniakharkar this week of interesting and varied panel looks. This is my "where has my husband been all night, I called his office and they said he left work three hours ago" look. You know I had to do the first pitch selfie at the @mariners game yesterday. Threw a flame right down the middle to @miajeremy. (38 mph). But a strike is a strike. Purrrrrr. Happy friday the 13th ! Its going to be a long one before we have one again.#mercuryretrograde #maskingitout. #freshface. #iwokeupwithmaskandall. Post TFIOS depression. Why didn't any of y'all warn me? "The San Andreas Fault In Our Stars" is what it shoulda been called. Incredibly acted. If u need to find me, I'll be in bed for 3-5 days.